Booking a pre purchased building and timber pest inspection before you purchase a property can be one of the best financial decisions you ever make. Buying a house is the biggest purchase that most people will make in their life, so it makes sense to ensure that you’re getting what you pay for. A building & timber pest inspection can make sure that the property you’re buying doesn’t have any major structural or timber pest issues that you need to be aware of while also allowing you to formulate a plan for Building Pest Management if it’s necessary. If you’re considering buying a property in the near future then make sure you check out the following five secrets that a building & timber pest inspection report can reveal. Booking one could end up saving you from the most expensive mistake of your entire life! 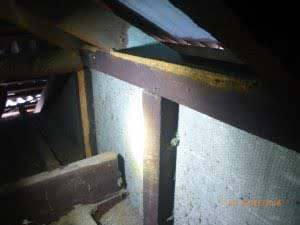 During a building inspection, trained professionals conduct a thorough analysis of the building and its skeleton in accordance with AS4349.1.This will identify issues like structural damage, movement of the footings and poor construction that can weaken the house and make it unsafe to live in. It’ll also identify cracks and other structural problems that can act as entry points for termites and other insects. Problems with your drainage or plumbing are a significant issues for a number of reasons. In addition to being very expensive to fix and potentially causing thousands of dollars worth of damage, increased moisture levels can help to bring on an insect or pest infestation. 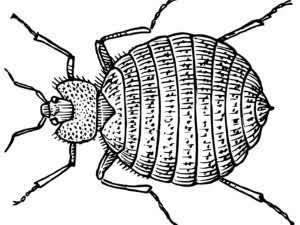 This can cause additional damage and require costly pest extermination and removal. A building & timber pest inspection report will reveal if the property you’re buying has a history of termite infestation. If so, it’s important to get a thorough termite treatment done as soon as possible to prevent the damage and loss that could be caused by future infestations. The report will also alert you to any existing termite damage in the property. Mould and rotting timber are serious problems for a number of reasons. In addition to rotting timber weakening the structure of your house, toxic mould can also cause serious health issues. Both problems are also indications that water or moisture is getting in to parts of the building that it definitely shouldn’t, so potentially other structural repairs may need to be carried out. This an added bonus that most people don’t associate with a building & timber pest inspection report. It’ll alert you to any safety issues noticed by the inspector and give you the chance to have them examined by another professional (such as an engineer or electrician) before settlement. When it comes to considering a pre purchase building & timber pest inspection report, the old saying that ‘an ounce of prevention is worth a pound of cure’ definitely applies. Spending a little money up front can help you avoid making a disastrous investment decision that could cost you tens (if not hundreds) of thousands of dollars further down the line. At BestWest Building, our experienced inspectors can deliver a detailed report that will arm you with all the information you need. Get in touch today to find out more.